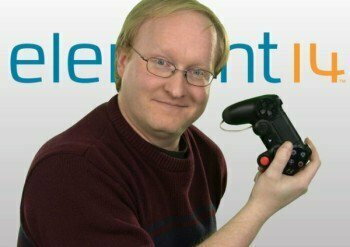 Benjamin Heckendorn, otherwise known as Ben Heck, has transformed the PlayStation 4 controller, making it possible for those with disabilities, or for those who only have one hand, to still play their favorite video games. Heck, who is a video game console modder as well as a YouTube celebrity, cracked open the controller and redesigned it using 3D printed parts, some fancy wiring, and a little bit of hot-glue. If this all sounds familiar, that’s because it is. A few short years ago, Heck became a celebrity modder after completing a similar process on the controller for the Xbox 360. Heck turned a two handed controller into a one handed controller by moving a few of the buttons, as well as the analog stick, to the other side. A little bit of rewiring and the controller was complete. Heck donated his creation to the Able Gamers Foundation, a charity that specializes in making video games more accessible to disabled people. After gaining popularity, the overwhelming response was to have a single-handed controller for the PS4. So Heck set to work, creating what his fans wanted. The controller is now available for purchase but, since the job was labor intensive, Heck is charging approximately $350 for a single-handed PS4 controller. As of now, the controller, aptly named “Accessibility Controller for PS4” is right handed, as that was the most popular request. According to GameSpot.com, Heck plans to donate at least one single-handed controller for the PS4 to an element14 community viewer.